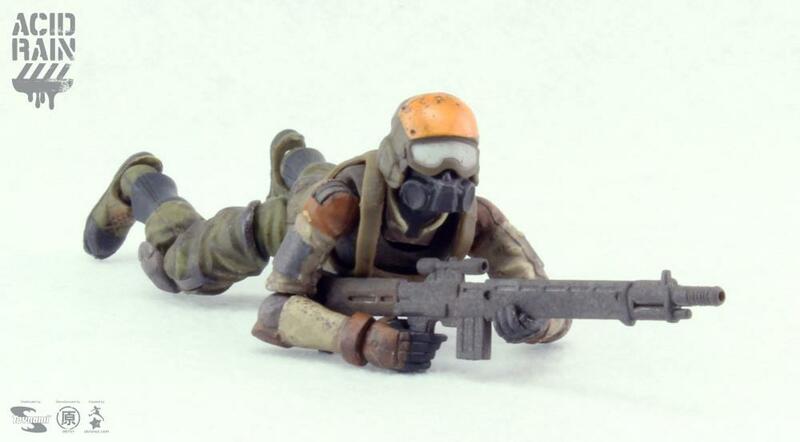 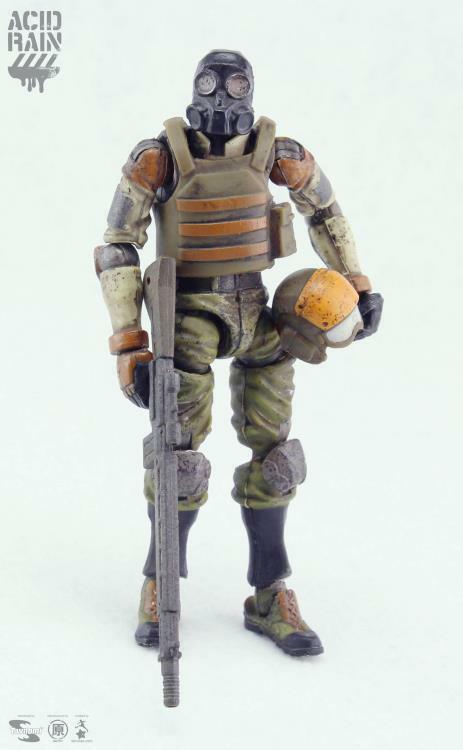 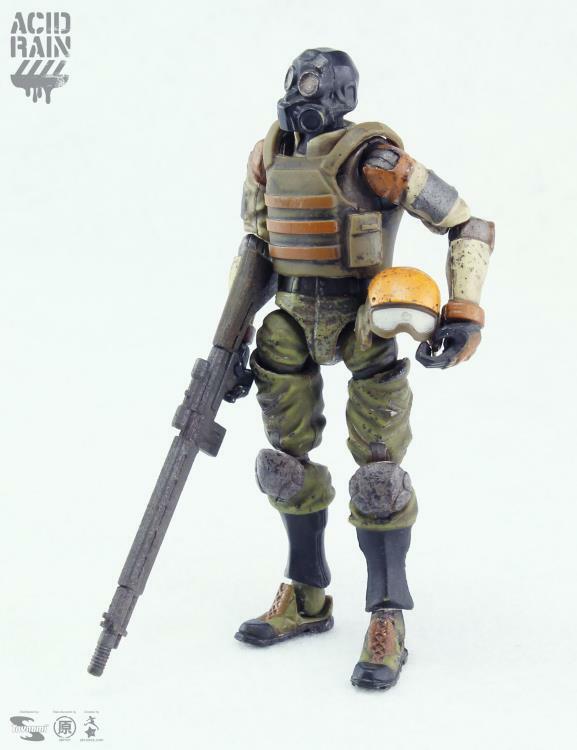 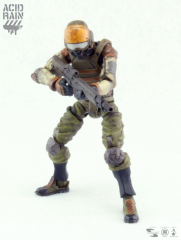 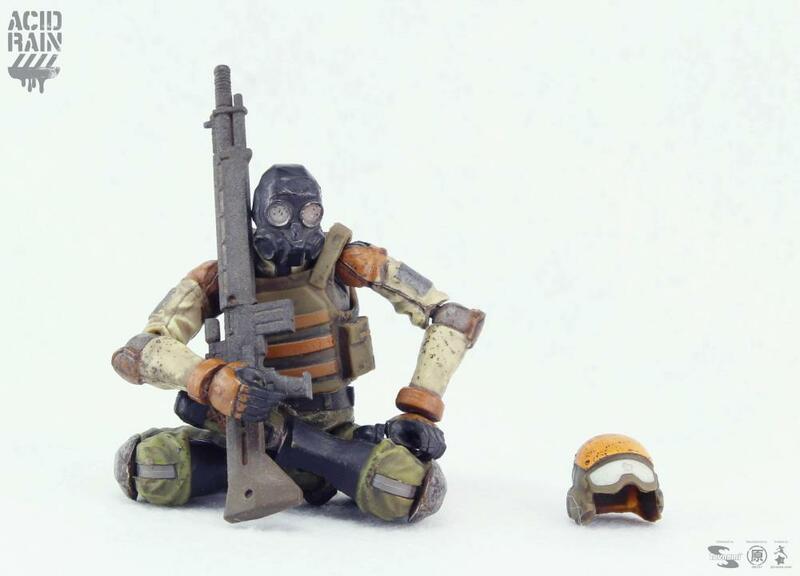 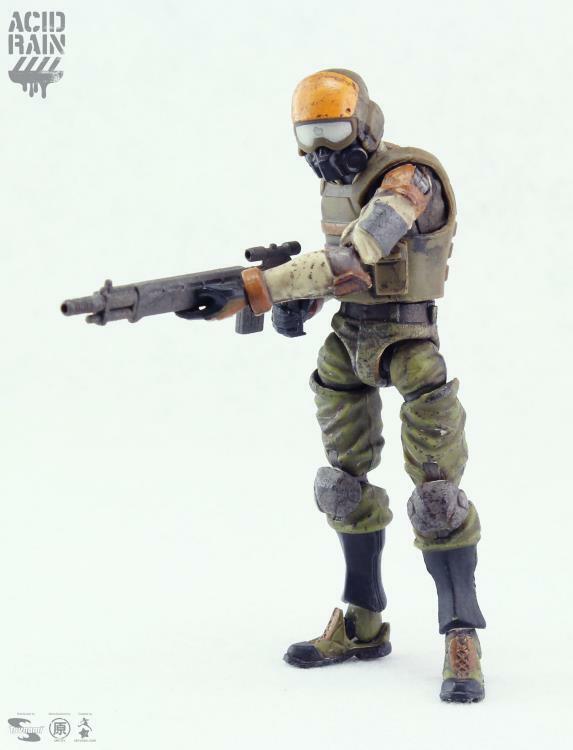 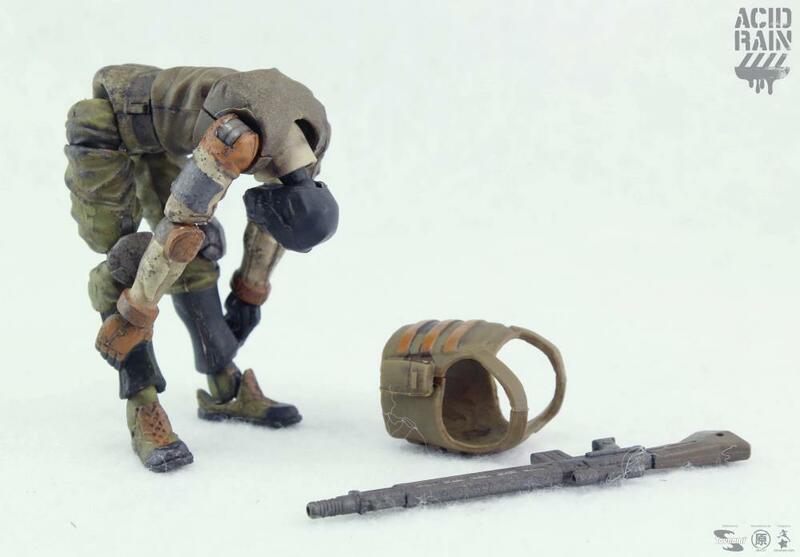 First released in 2014, Acid Rain Sol Commander is back! For a limited time you can now get your hands on this amazing figure which now comes with new box packaging! A rifle gun is also included. 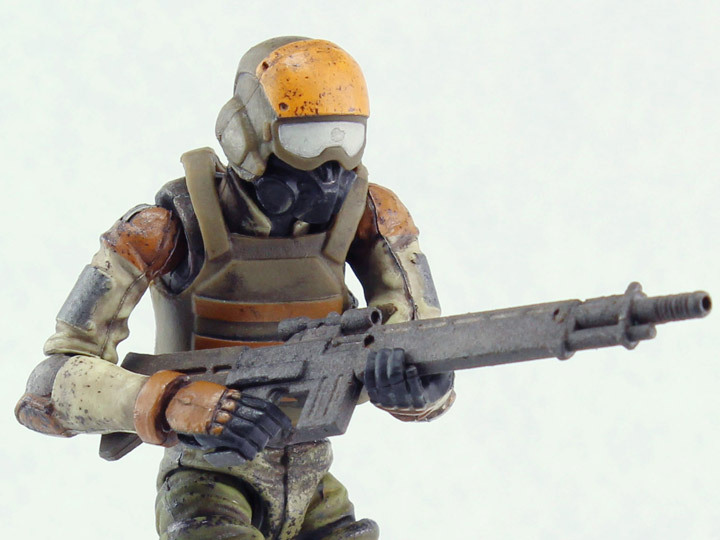 Sols are armed with a long barrelled automatic rifles to ensuring they can keep enemy attacks at bay from distance. 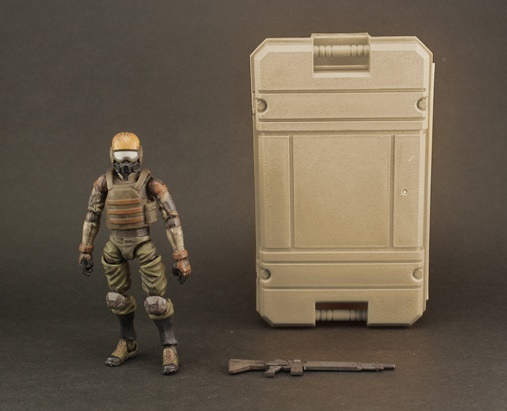 This gives the lightly armored pilots time to mobilize their vehicles while ensuring that the threat of close quarter explosive devices are kept to a minimum. 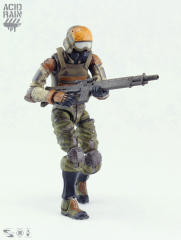 It is likely that Sol Commanders are adept at piloting but would also receive additional training in battlefield tactics, schematics of their vehicles, repair/engineering skills and communication abilities.